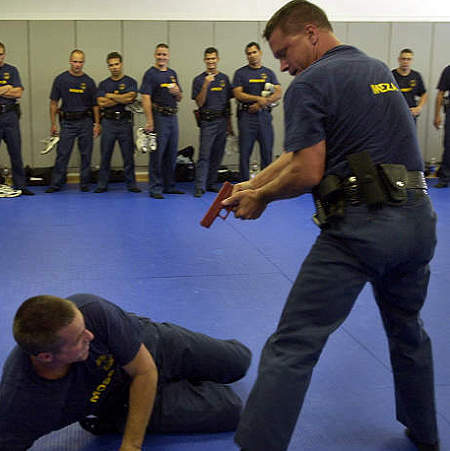 Police recruits undergo a Basic Police Development Learning Programme (BPDLP) when they enlist in the South African Police Service. Upon recruitment, a Memorandum of Agreement is entered into between the South African Police Service and the police recruit for a contract period of 24 months. During this period, the recruit will be a police trainee and will undergo the Basic Police Development Learning Programme. provide a more effective service that will improve community satisfaction and position them to fulfil their mission of creating a safe and secure environment for all who live in South Africa. The duration of the Learning Programme will be 24 months, of which 12 months will be at the Academy and 12 months in the workplace. It will consist of two phases at the academy and one phase in the workplace. Foundational phase – will mainly focus on acquiring necessary knowledge and skills. When police trainees complete the training and are found competent, they are permanently enlisted in the South African Police Service as constables.